Being a do-it-all adventurer is hard work right? 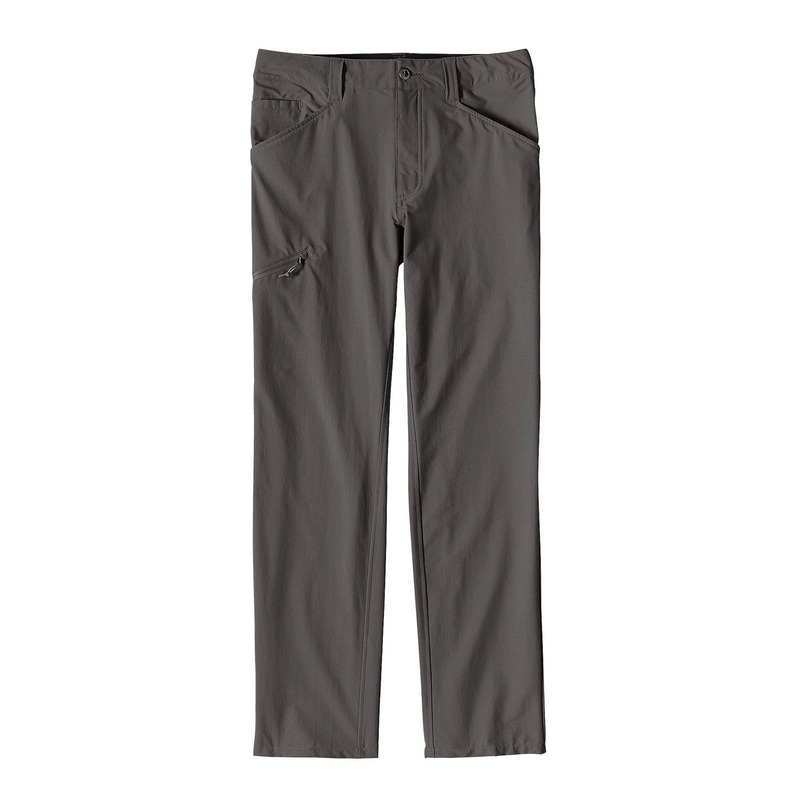 The Patagonia Quandary Pants are designed to make transitioning between mountain sports, hiking, and casual wear effortless, with a simple one-colour design for seamless blending in as casual wear. Made from 94% nylon (62% recycled)/6% spandex, the Quandary Pants are strong, lightweight, and quick-drying, with a stretch-woven design for freedom of movement. A DWR coating enhances weather-resistance to protect against light precipitation, snow, and dirt, and a 50+ UPF sun protection keeps legs cool in hotter weather. The curved waistband follows the contours of your hips for a personalised fit, while a gusseted crotch and knee articulation allow a full range of motion. Front handwarmer pockets (right one has a coin pocket), two rear pockets, and a side leg pocket with security zipper keep valuables close and safely at hand, and the slim fit enhances breathability. For the conundrum of finding one pair of pants that do it all, the Quandary Pants are the answer.